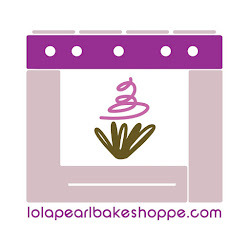 Lola Pearl Bake Shoppe: Eggnog Cupcakes + RECIPE! Who said eggnog is only for the Holidays?! To make eggnog buttercream frosting at home, follow the recipe after the jump! Using the paddle attachment, beat butter for about three to four minutes on medium speed. Add sugar by the cup, mixing on a slow speed (so it doesn't jump out of the bowl). Increase the speed to high, combine vanilla (or rum) and eggnog until you reach your desired texture. Sprinkle nutmeg either in mixing bowl with a couple pulses of the mixer, or atop of the finished cupcake.